A woman in Gaston, Indiana, found both a surprise and a mystery in her barn on Saturday. 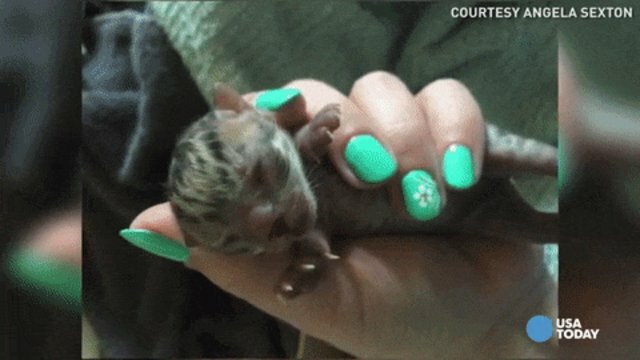 Alice Jones came across two tiny, newborn kittens who had yet to open their eyes - but even more intriguing were the black spots that marked their fur, suggesting the kittens might be some type of wild cat, The Star Press reported. Jones immediately brought the mysterious kittens to the Animal Rescue Fund (ARF), but when the rescue's resident cat expert confirmed the kittens weren't just regular house cats, they were transferred to Indiana's Exotic Feline Rescue Center (EFRC) for further examination. Though the identity of the kittens remained a bit murky, Joe Taft, director of EFRC, had a theory. The kittens were likely not tiger or bobcat babies, but Taft suspected they could be Bengal or Savannah cats - wild and domestic cat hybrids, according to The Star Press. Sadly, both kittens were born prematurely and one of the kittens has since passed away. The other one remains in an incubator and is currently being bottle-fed. More will be known about his breed when he gets older. Taft also noted how strange it would be for a Bengal or Savannah to give birth in a stranger's barn, since there is often a lot of money involved in breeding them. 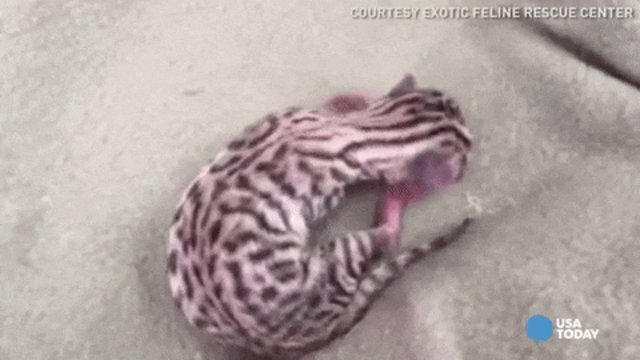 Hybrid "designer" cats like Bengals and Savannahs are legal in most U.S. states, but sometimes become displaced when owners can no longer handle the "wilder" aspects of the cats' personalities. "We do realize people may love their pet hybrids, but it puts a demand on breeders getting servals and other smaller exotics to keep up with the exotic pet market, a market we are against," Minnesota's Wildcat Sanctuary wrote in a blog post about the subject. There are also a slew of problems behind the breeding of hybrid cats, from being kept in deplorable conditions similar to those found in puppy mills, to kittens facing birth defects or being born prematurely. There are plenty of rescue cats in need of loving homes all over the country. Interested in bringing one home? Get started at Adopt-a-Pet.com. If you find a baby animal by himself, wait to see if the mother returns before contacting your local wildlife rescue.